This is just going to be another quickie post as I am in the middle of a big two-day craft show in Fredericksburg. 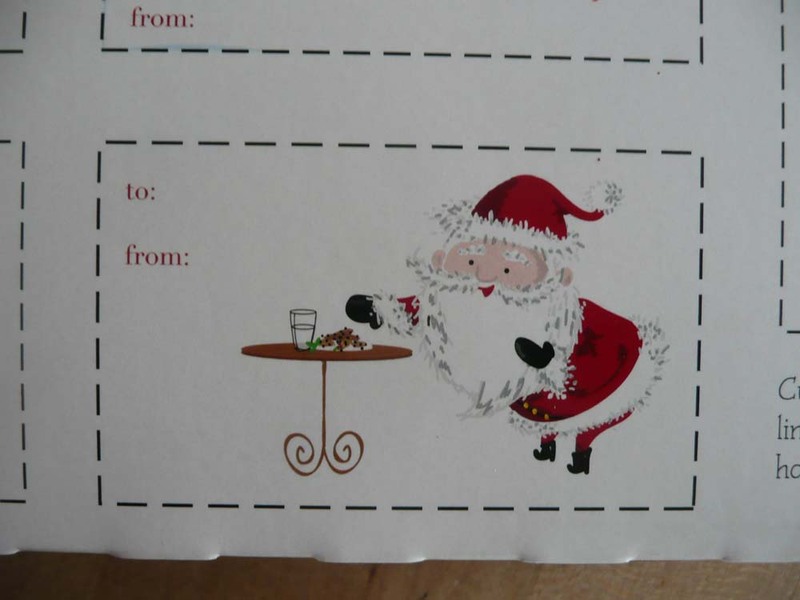 I just wanted to point out something interesting that happens at Christmas because I don’t want you to miss it. Besides the black Friday madness, cyber Monday and “special” sales every day there is a phenomenon that I love. Do you know what it is? Packaging gets really cute. 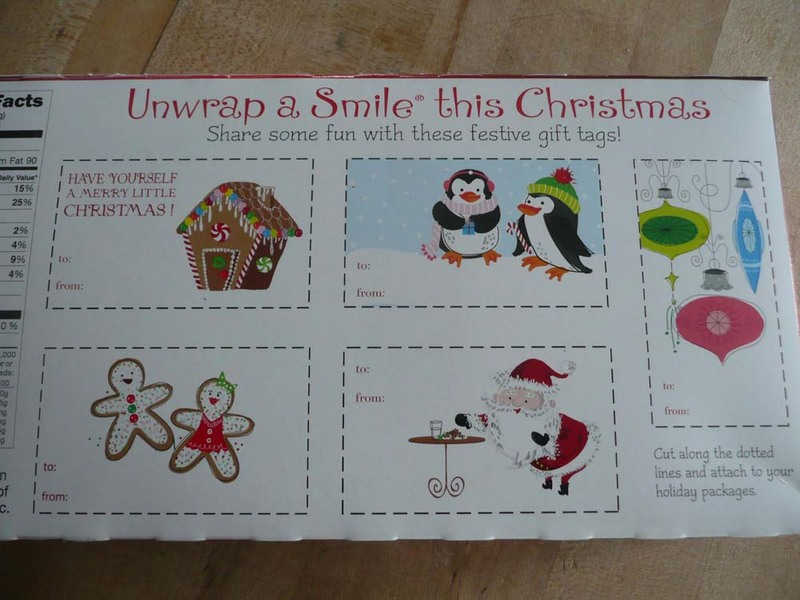 Even everyday items get packaged with a special Christmas flare. Here are some examples I found this past week. These are ordinary berry flavored fruit chews but look at the Christmas box! 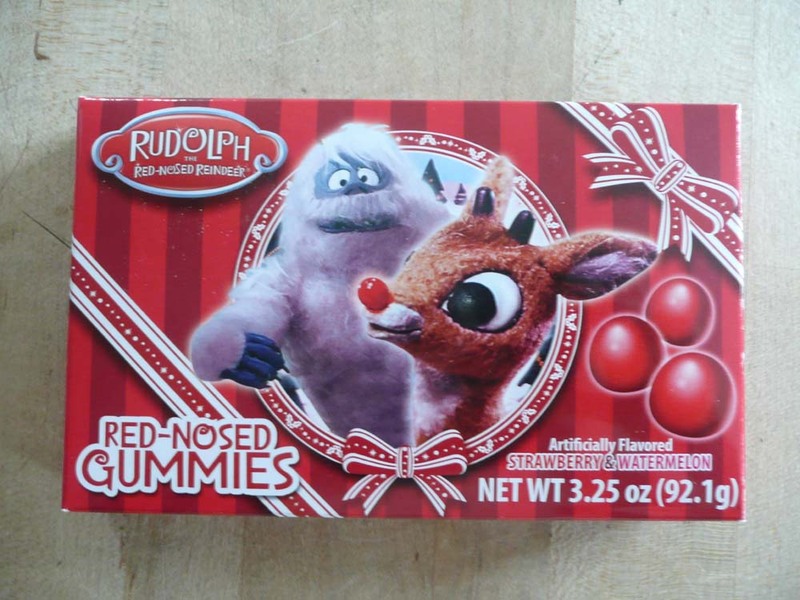 I bought them because they are apparently endorsed not only by Rudolph, but the Bumble too! 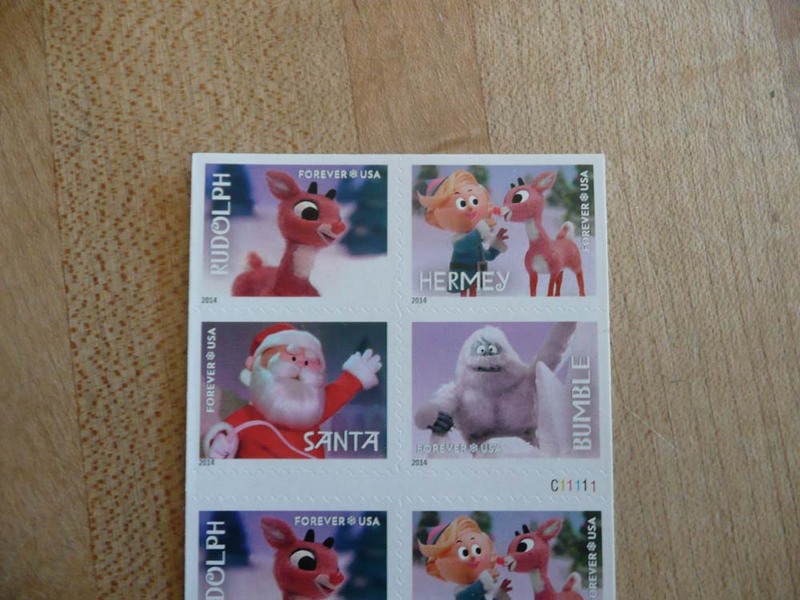 This box front is already in my 2014 December Daily. I mean really? 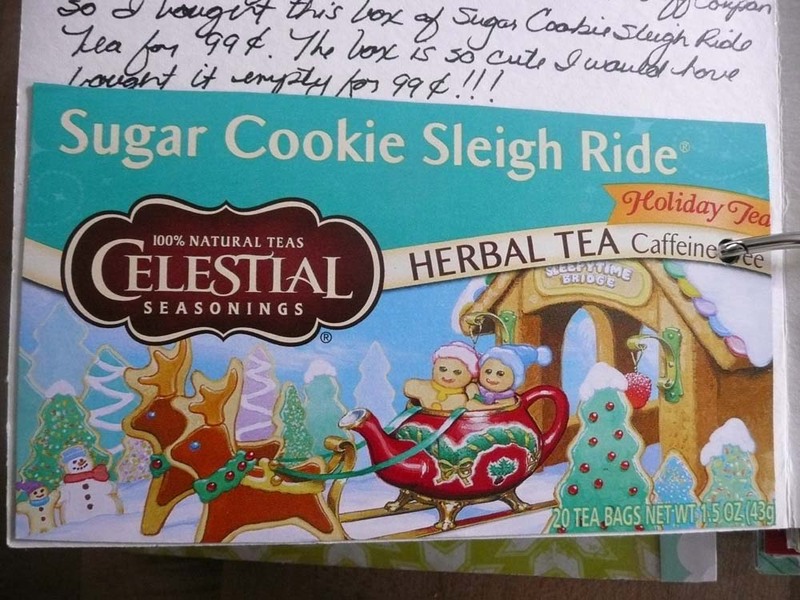 Sugar cookies riding in a teapot sleigh pulled by cookie reindeer. Need I say more. As you can see by the journal remark above the box, I got to tea for 99 cents because I had a coupon, but I would have bought the empty box for 99 cents because it’s so cute. Eeeeek! 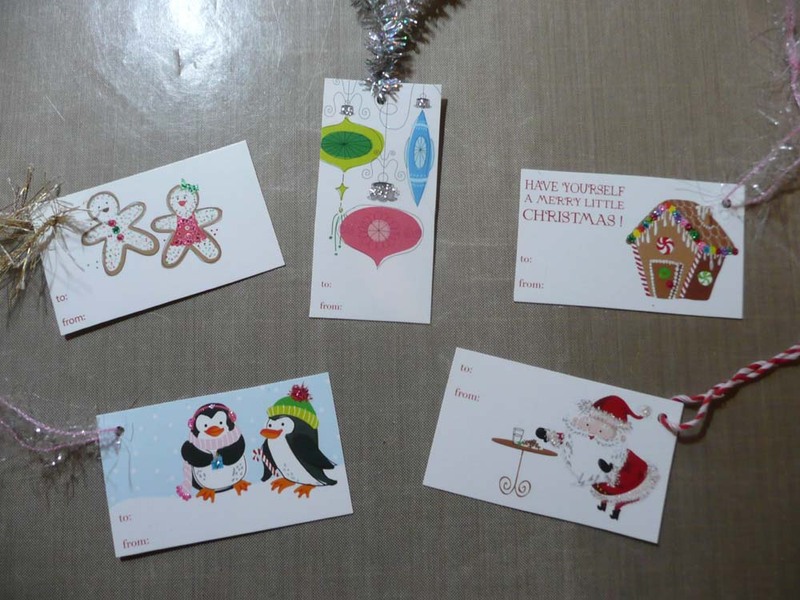 Cute little Christmas tags you can cut out. Just look at him! Needless to say I ran to get my scissors, trims and of course glitter! 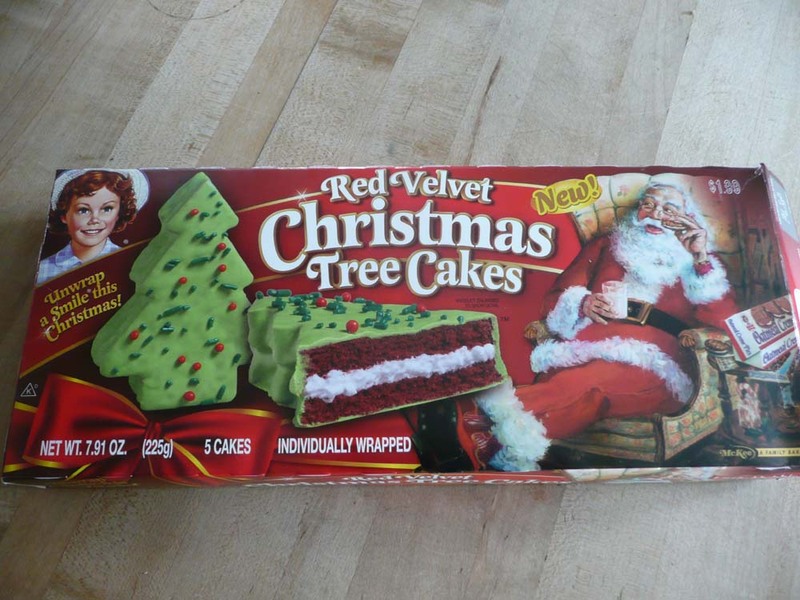 These are not packaging, but they are also darn cute. So if you want some Christmas cuteness, take a moment and really look at the things that are passing through your life this holiday. 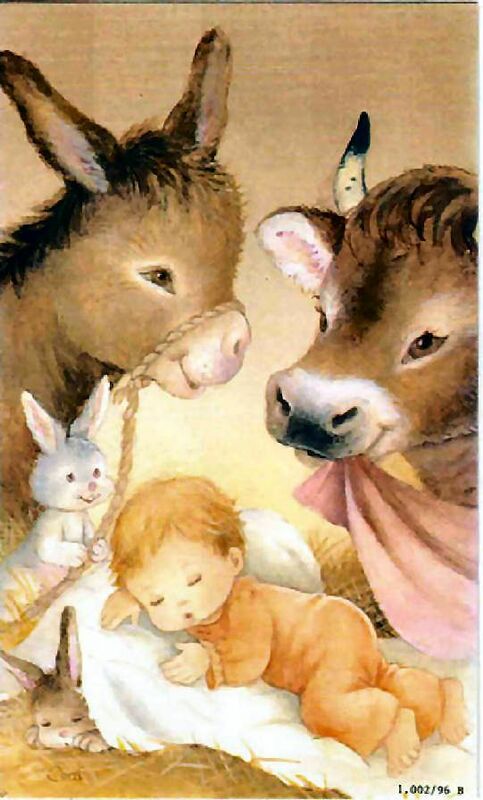 And please don’t forget the real reason we celebrate Christmas!